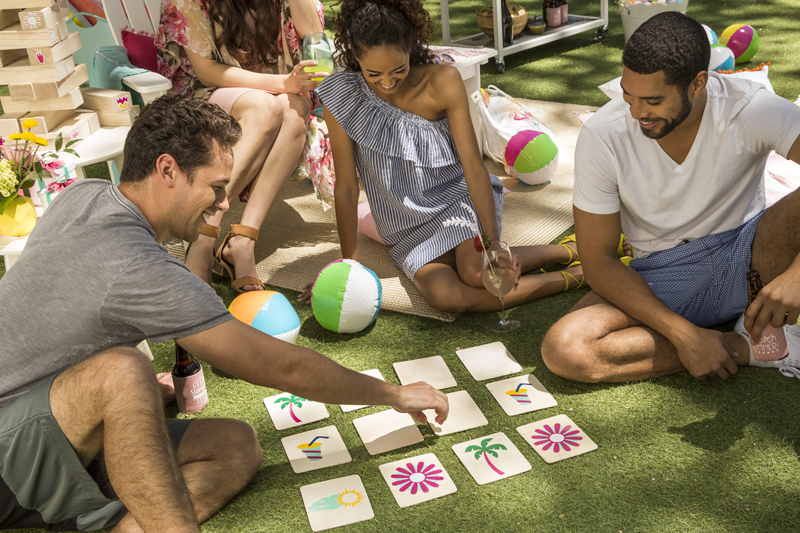 We mentioned earlier how much fun these simple outdoor games added to our outdoor party and now we’ll show you step-by-step how to recreate one of them for your own stylish summer party. 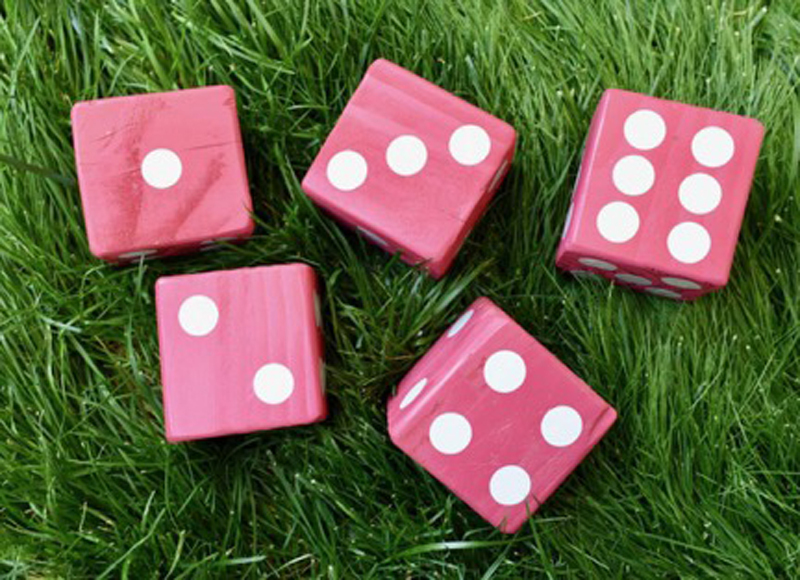 Our new Premium Vinyl – Permanent is the perfect way to create your outdoor games for long-lasting results! Did you know it is water resistant? Okay, let’s get to crafting! First, you’ll need these essential materials. 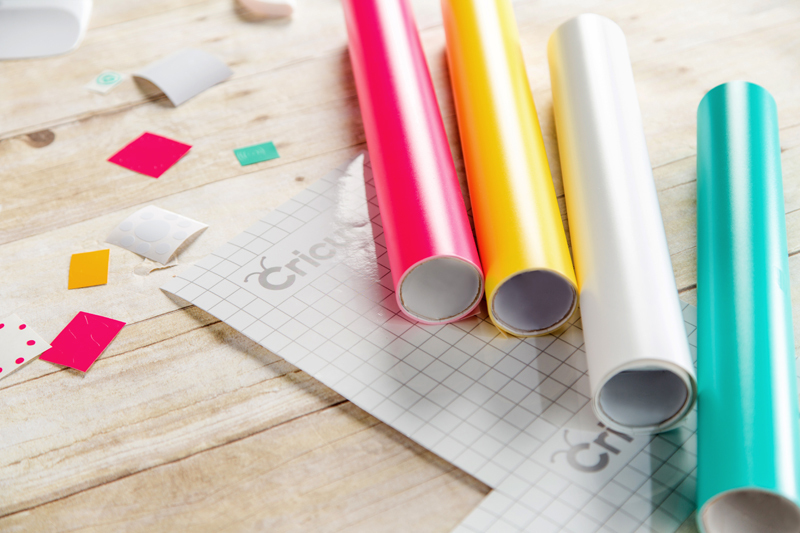 Begin by opening Cricut Design Space using this link to the project, Tumbling Tower Game. This project makes 6 different flowers. We used one flower for each block. 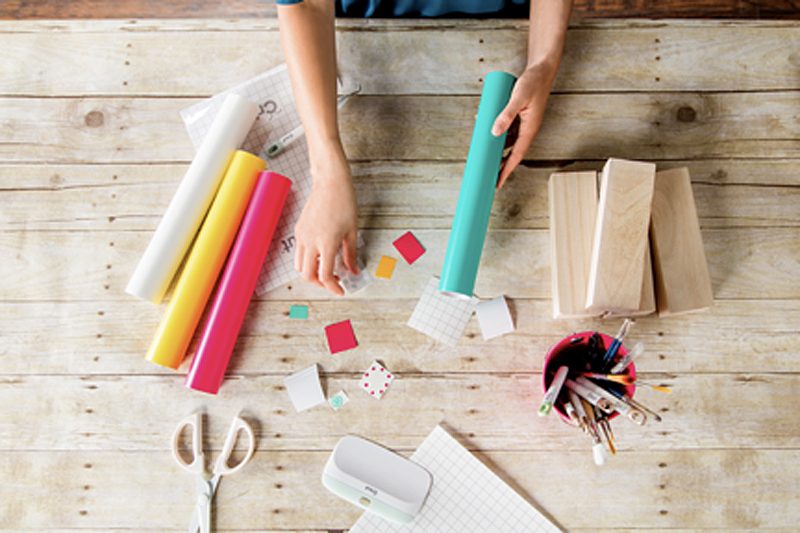 Once you’re in the cut screen, feel free to duplicate the project to as many as you need. For this project, we need 53 flowers, one for each block. By rounding up we duplicated the project 9 times. Design Space already has already separated each image to the correct mat. All you need to do now is place the vinyl face up on the mat and begin cutting. Once each mat is done cutting, remove the vinyl from the mat. I find it easiest to cut around each flower image using my scissors to separate them before moving on to the next steps. Remove all the negative excess from each flower cut. Once each layer is successfully weeded, begin assembling each flower. Use a small piece of transfer tape as well as your scraper tool to layer each image to create your flower. Reference the Design Space image to replicate the flowers. Once each flower is layered and assembled it is now time to transfer it to one end of each block. Transfer tape and your scraper tool are your best friends with this project so don’t forget to use them! Now let’s let the games begin!! 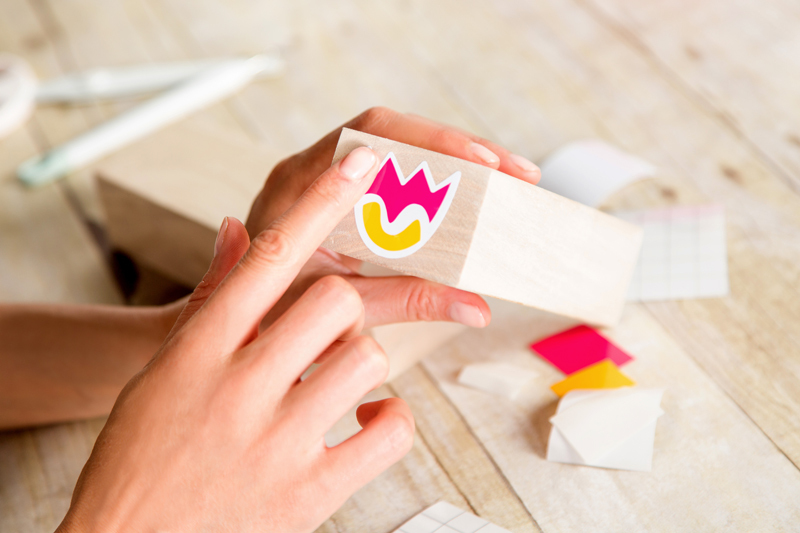 We also had such a blast making and playing this adorable matching game! A few of our friends got so distracted with all the cute images that they didn’t bother to take away their matches once they found them! Ha ha, we took that as a compliment! Here is the link for the Design Space canvas with instructions and materials. We really hope that you enjoy it! But don’t let the fun stop there! 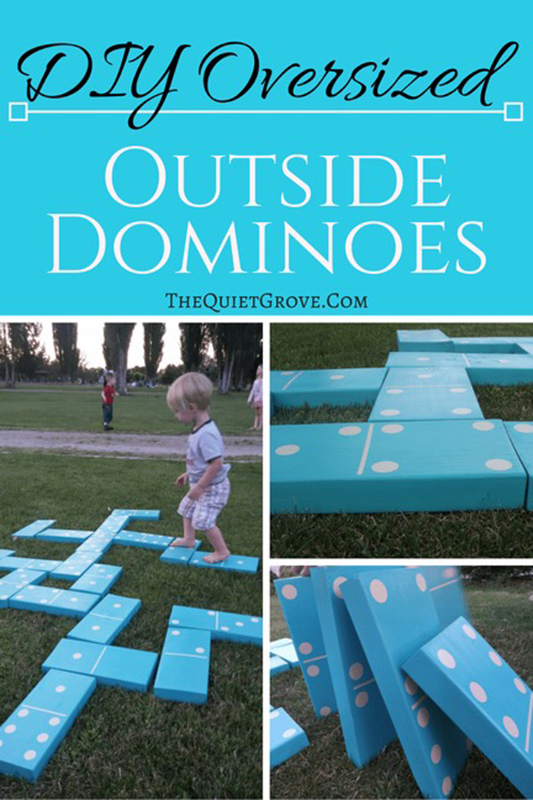 With the summer sun shining be sure to check out these awesome yard game ideas made by some of our fun friends here at Cricut! 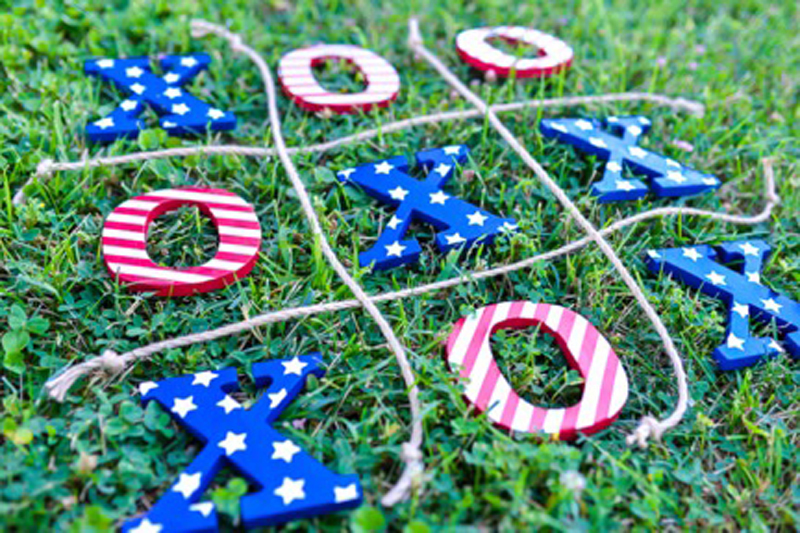 We can’t wait to see how you customize these yard games to fit your outdoor vibe! 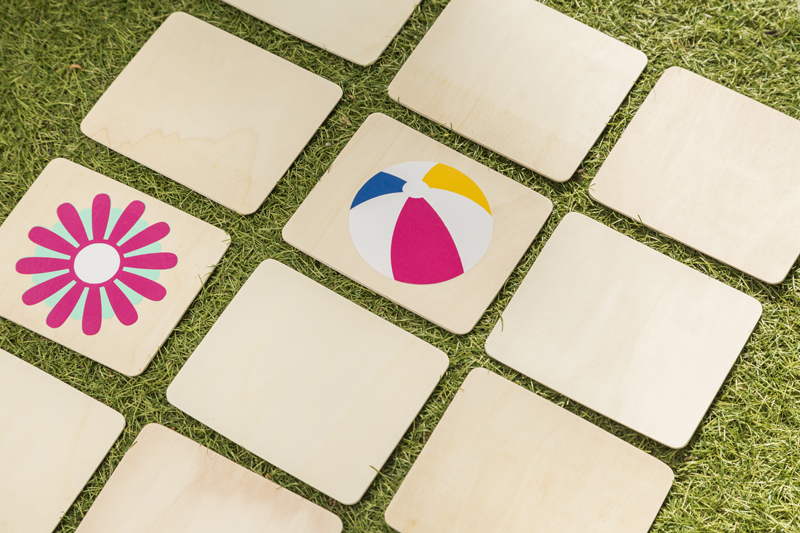 What other yard games have you created? Don’t forget to tag us so we can celebrate the summer sun with you!